A federal appeals court panel heard arguments Tuesday in Pasadena from the state and an advocacy group challenging the U.S. government’s waiver of various environmental rules to move forward with construction of President Donald Trump’s proposed border wall. 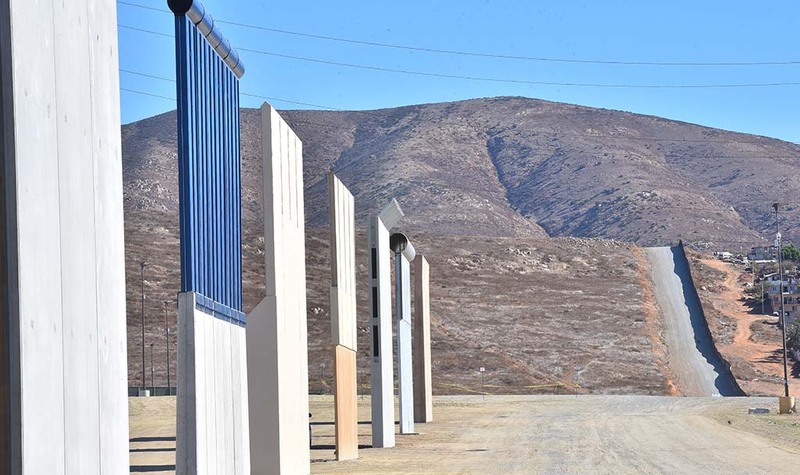 In February, U.S. District Judge Gonzalo Curiel in San Diego upheld the environmental waivers granted for the construction of border wall prototypes and the replacement of 18 miles of existing border fence in the San Diego and El Centro areas. Federal authorities have said the stretch of fencing in question is no longer functional to protect the border. Curiel noted that his ruling was limited to the propriety of the environmental waivers, not the larger public and political debate over the need for a more extensive border wall. Curiel’s decision was appealed by the state and the Center for Biological Diversity, which argued the 2005 law used as a basis for the waivers is outdated. The law gave the Department of Homeland Security broad powers to waive laws requiring environmental and other reviews, including the National Environmental Policy Act, Clean Air Act and Endangered Species Act. The judge ruled that the law is constitutional and the Department of Homeland Security acted properly in applying it. In its appeal, the Center for Biological Diversity continued to argue that the government was “relying on a congressional waiver that expired years ago,” according to Brian Segee, an attorney for the group.